If you missed it, you need to check out Monster Cookie Bars. This treat was a hit at everywhere we went over the holiday season. The recipe is simple to make and the bars are thick, soft, and delicious! Depending on what your New Year's Resolutions where these posts on 6 Money Saving Tips and 10 Amazing Apps to Help You Be Healthy can help you out. When I go shopping this week I am going to get the ingredients for Sausage, Potato, and Spinach Soup. This recipe looks delicious and easy and make. Plus it would be great on a cold Winter day. 3 New Titles to Bring to Book Club. I will have to check these out and decide if they would be right for our Book Club. We had a wonderful time yesterday and I can't wait for our next meeting. Do you love to use floral arrangements as decor? Here is The Foolproof Way to Style a Chic Floral Centerpiece. 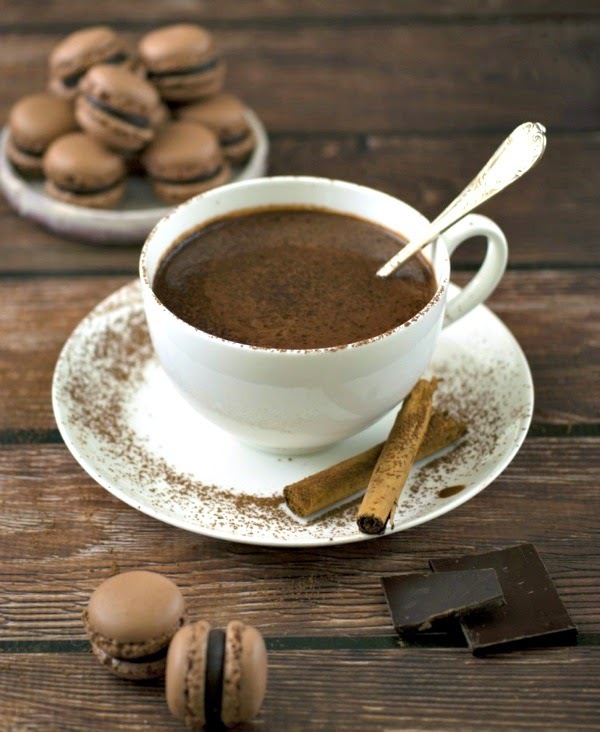 We had a delicious homemade hot chocolate recently and here are other warm drink recipes that I want to try. They look so good! I love this. Having fresh floral is one of my favorite things! Now I'm so hungry :P! i love homemade soups. my mom makes some of the best, and it's always been on my to-do list to perfect one recipe myself!